Download and install using Adobe Extension Manager. 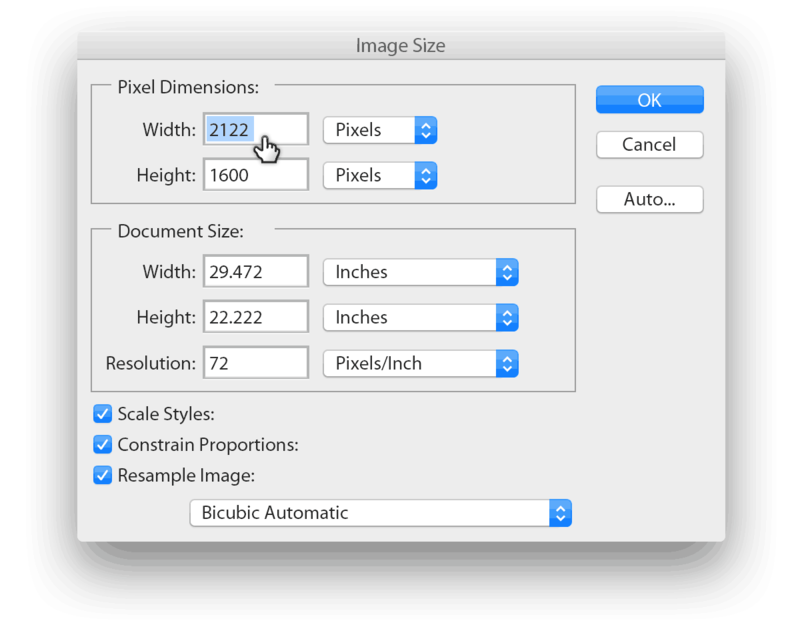 How can I calculate the megapixel of my Photoshop document? Why is there a 6 megapixel limit? 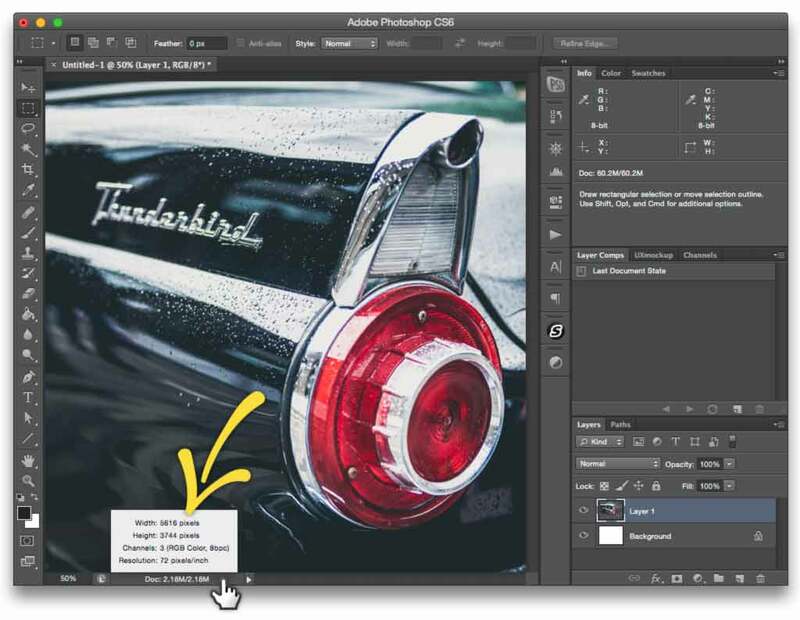 How do I scale my Photoshop document? The dimensions of the canvas cannot exceed 6 megapixels, please scale down your document and try again. A megapixel is a term used to define an image or photo which has 1 million pixels. The term megapixel is most commonly used by digital camera manufacturers to describe the capability of the image sensor in their camera. Your current document exceeds 6 megapixels. Unfortunately, Stipplr is presently limited to processing an image or photo which does not exceed 6 megapixels (6 million pixels). The simplest method of determining the megapixels of your current Photoshop document is to multiply the document width (in pixels) with the document height (also in pixels). In the image above we can see that this example document is 5616 pixels wide by 3744 pixels high (these are typical dimensions for a standard DSLR camera photo). To get the document megapixels we simply multiply 5610 by 3744. The result is the document’s megapixel size, which in this case is a staggering 21003840 pixels (21 million). This example document is a 21 megapixel document and far too large to be processed by Stipplr. Stipplr is a Photoshop add-on, and Photoshop itself is optimized for raster content. While most of Stipplr’s Actions run fine on very large documents, some Actions can create a significant amount of vector shapes (eg. 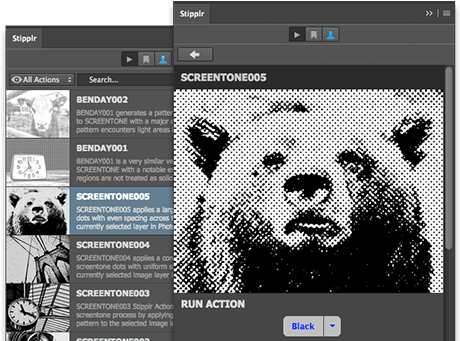 halftone, benday, screentone). Photoshop can become completely unresponsive or even crash when too many vector shape paths are generated. Testing has revealed 6 megapixels to be the ideal amount of pixels Stipplr can process without incident across the entire Stipplr library of Actions. To avoid this issue in the future, scale your document down. We recommend dimensions which exactly match or fall under 6 megapixels — for example, all of the photos used in our tutorials measure 2122 x 1600 as a standard. The examples above are all landscape format, but portrait mode works fine also (ie, 2000 x 3000). 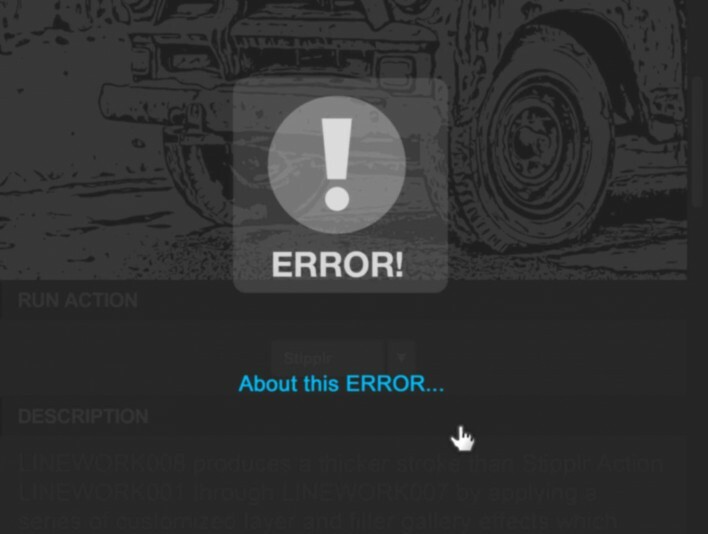 When the Image Size modal appears simply enter the new dimension and Photoshop will then scale the document to the new size. Once your document is scaled down you may return to Stipplr and continue your shape tracing process.